The suspect has been identified as Christopher Martinez. FRESNO, Calif. (KFSN) -- A homeless man is in police custody after trying to steal a bus full of elementary school children from Kingsburg on the way home from a field trip. A group from Reagan Elementary School was returning from Calvin Crest Science Camp in Oakhurst when the bus made a pit stop at Jensen near Highway 99 in Southwest Fresno. Police say a teacher escorted two students off the bus to use the restroom when Christopher Martinez stepped into the bus on Monday afternoon when he said, "Jesus is coming. I want to go to the San Gabriel mission." Martinez then grabbed the bus driver's collar. The bus driver took the keys from the ignition and hid them. Martinez walked down the aisle where 41 students from were still on board. Police say the teacher returned with the gas station clerk, who coerced Martinez off the bus by the time Fresno Police arrived. Police soon came and arrested him. 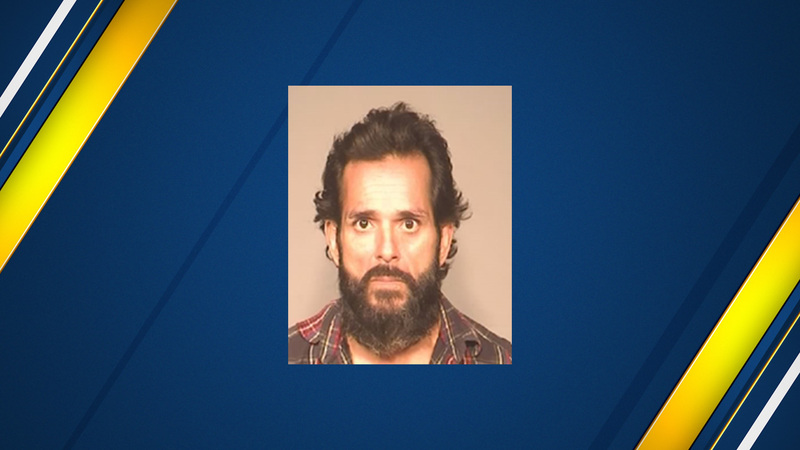 Martinez was booked into the Fresno County Jail for attempted kidnapping and attempted carjacking. They say his behavior was erratic, and that he possibly has mental health issues.